While this isn't a celebrity blog, we would be remiss to not acknowledge the life and death of music history's beleaguered giant Michael Jackson. While the next several weeks and months will be dedicated to discussing how he died, and I'm sure even if he died, we wanted to take a moment to reflect on some of MJ's best accomplishments. Thriller -- we could be talking about the song OR the album; this will always be the crowning achievement of Michael Jackson's. 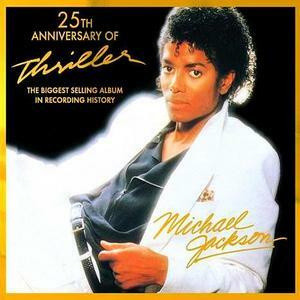 Just celebrating more than 25 years since its release, Thriller (the album) contains indelible markings on the world: "Human Nature," "Billie Jean," "Baby Be Mine," "Wanna Be Startin' Somethin'," "Beat It," and the title track that goes beyond what most pop music dares to. Appropriate in any season, "Thriller" is one moment in music where an artist was willing to get downright scary. Oh, and you may have heard of the music video before. "Smooth Criminal" -- you can't even be sure what is happening in the song, but the crescendo, the rapid-fire vocals, and the utter style of the song is perfect. "Remember the Time" -- the music video featured Eddie Murphy, Iman, and Magic Johnson in Egyptian drag--and Michael Jackson dissolving into sand; a quirky visual to go with the mellow jam about past love. "They Don't Care About Us" & "Scream" -- as the world started to fall around MJ, his songs became more tense and frustrated. "Ben" -- the outcast's song, most people forget that it was written for a horror film. The words however hold meaning to anyone who's ever felt alone for who they were. As Michael Jackson's first solo hit, it would be the most prophetic.